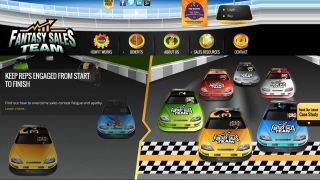 Microsoft has acquired Incent Games, the parent company of sales gamification platform FantasySalesTeam. Microsoft will integrate the solution into its Dynamics CRM suite. FantasySalesTeam is a platform that takes its premise from fantasy sports. The tool allows reps to group up into teams, and then earn points for every task that they accomplish. As I wrote last year after interviewing FantasySalesTeam CEO Adam Hollander, when you think of this tool, think Yahoo and ESPN fantasy sports, but for sales metrics, such as closes, new leads, revenue, etc. Microsoft hopes FantasySalesTeam will drive adoption and usage of Microsoft CRM products in fun and creative ways. The acquisition is focused on Microsoft's desire to help its clients stay productive, to help incentivize users to want to use the CRM tool, and to reaffirm Microsoft's commitment to improving the CRM product, Param Kahlon, Microsoft Partner Group Program Manager and CRM PM told TechRadar Pro. FantasySalesTeam is able to directly connect to any CRM, Business Intelligence, Enterprise Resource Planning or Call Center application. It has out-of-the-box integration for Salesforce.com and Microsoft Dynamics CRM. Through its APIs it can accept automated data feeds from any system like SAP CRM, Oracle CRM, Sugar CRM, Zoho CRM, Sage CRM and more. "We will figure out over the long term what to do [in terms of third-party integrations]," Kahlon added. This is a nice pick up for Microsoft, which saw Dynamics CRM revenue rise 6% annually during fiscal 2014. Since FantasySalesTeam launched in 2012, the company signed "several hundred" clients, Hollander told TechRadar Pro, including GoDaddy and HP. Half of the FantasySalesTeam staff will make the transition to Microsoft. The administrative and sales staff will not be making the transition, Kahlon said. Hollander will join Microsoft as Principal Program Manager and he will relocate to Seattle, from Austin, where FantasySalesTeam is currently located. Some FantasySalesTeam staff will remain in Austin and work from satellite Microsoft offices.